Congratulations to tour winner Solange T. and to host winner Read Your Writes. 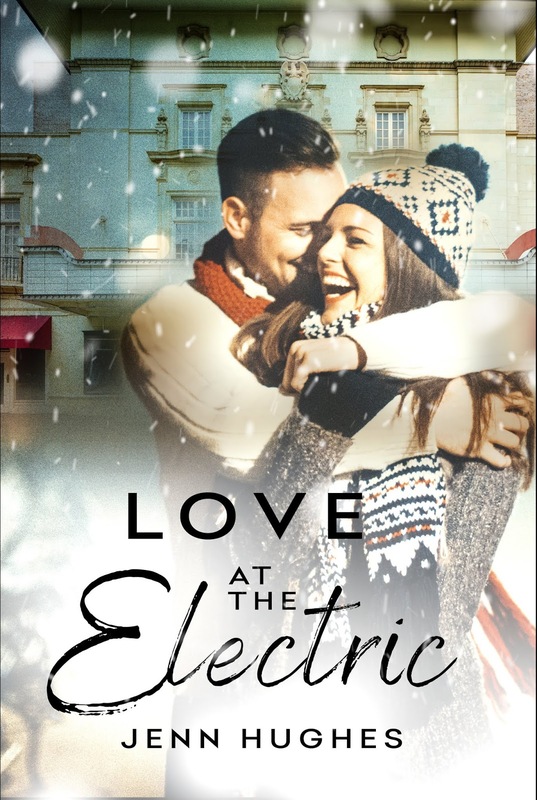 Goddess Fish Promotions is organizing a Virtual Name Before the Masses Tour for Love at The Electric by Jenn Hughes, a Contemporary Romance available now from Soul Mate Publishing. The tour will run every Monday for 8 weeeks starting on October 29, and Jenn Hughes is available for guest post and interviews. A PDF copy of the book is available for review in conjunction with a guest post or interview. Jenn Hughes will be awarding a $50 Amazon/BN GC to a randomly drawn winner via rafflecopter during the tour, and a $25 Amazon/BN GC to a randomly drawn host. Walking wildfire Sam Owens gets Lillian hot in all the right ways, but there's more to the software CEO than just a pretty face. And a great body. And… Oh, right. He’s the enemy, according to the contract she signed with his rival. So when they secretly meet up for movies at The Electric, Lillian can't get too involved with Sam. She could lose her job. Her reputation. And her heart. Sam is in love with his company, his image, his video games, and his ability to avoid commitment--at least until he levels up with attorney Lillian Walker. With her love of campy horror flicks and a body that makes him want to howl like a cartoon wolf, Sam’s found his leading lady. Too bad getting close to Lillian means tangling with her boss, a supervillain in the making. In the nights leading up to Christmas, movies at The Electric mean more than just mutant toads and cannibal fruitcakes. Between shenanigans with old flames and an arch nemesis out to destroy any future they might have, Sam and Lillian learn the hard way that falling in love isn’t as easy as it looks on screen. When the past gets in the way of a perfect “the end,” there’s really only one solution--if werewolf Santas can bring them together, zombie ex-girlfriends can keep them together. After all, anything’s possible at The Electric.